Getting pulled over is a stressful experience. It’s best to avoid unintentionally escalating the situation by behaving the wrong way, but many people aren’t sure how to do that. Go over these tips to help you know what to do (and even more importantly, what not to do) when you get pulled over in Colorado. Though there are many Boulder attorneys available, remember that Boulder lawyer Phil Clark has the experience, knowledge, and skill to protect your future and your assets. When you first notice that flashing light in your rearview mirror, hit your turn signal and pull over. If you can’t pull over immediately, put on your hazard lights, slow down, and look for the first opportunity to get off the road. You want the officer to know that you are attentive and cooperative. Once you’ve come to a complete stop, roll down your window, turn off your vehicle, and turn on your interior lights. 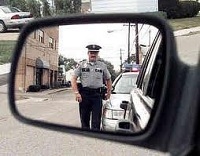 You want the officer to feel safe approaching your car, and to be able to easily see and hear you. Take out your license and vehicle registration and then put both your hands on the steering wheel. Be prepared for the officer to approach either the driver side or passenger side window. Keep in mind that it’s quite common to be pulled over for one thing, and then be charged with a more serious offense. For example, you could get pulled over for switching lanes without signaling, but then be charged with a DUI if the officer finds you are intoxicated (this is called a “pretext stop.”) While a pretext stop can seem unfair, there is a proven track record of this practice bringing in major criminals. Once you are pulled over—for whatever reason—the most important thing to remember is to obey any instructions given by the officer. Police officers are people too, and if you make their lives difficult, they will be much more likely to repay the favor by exercising the absolute limits of their rights to hassle, search, and detain you. If you do feel that you were pulled over and/or charged with an offense frivolously, after the officer leaves you can go to the exact spot of the infraction (written on your ticket), and take pictures of everything relevant to the event—speed limit signs, where the police officer was parked, anyone involved with the incident, etc. If you gather sufficient proof that the infraction is erroneous, the case will be thrown out. Contact a Boulder, Colorado attorney as soon as possible to protect you legally. If you have been or suspect you will be charged with an offense, contact Boulder attorney Phil Clark. 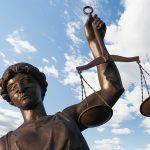 Though many Boulder lawyers claim they can give you a strong defense, Phil Clark has experience as a prosecutor and can use this to your advantage. Choose a Boulder criminal defense attorney who can provide you with caring and knowledgeable counsel, and contact The Clark Law Firm today at 303.444.4251.